Sabrina Barros lives in the same neighborhood as Victor Pena. Charlestown neighbors of the man accused of abducting a 23-year-old woman who went missing after leaving a bar near Faneuil Hall over the weekend were shocked to hear of the allegations and relieved that the victim was found alive on Tuesday. Victor Pena, 38, is facing a charge of kidnapping after Olivia Ambrose went missing after leaving a bar late Saturday night. A citywide search led police to Pena’s apartment, on Walford Way, which is part of the Bunker Hill housing development, a sprawling and maze-like neighborhood of squat, brick buildings in the shadow of the Tobin Bridge. Derreck Garcia, 25, was home when police swarmed the development run by the Boston Housing Authority. He said there were at least 10 cruisers outside his building on Walford Way. He said he’s never seen anything like it since he moved into the neighborhood in 2010. He said he only saw Pena once, two nights prior to Tuesday’s arrest. He said he saw the man walking outside a building in the development. Nothing about the man’s movements or bearing struck him as unusual, he said. 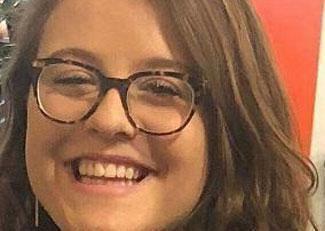 Olivia Ambrose, the 23-year-old woman who went missing after leaving a downtown Boston bar on Saturday night, was found alive Tuesday, and a suspect has been arrested. “I’m shocked and relieved it’s all over,” he said. In the aftermath of the arrest, the development was quiet late Tuesday afternoon. Backpack-wearing teens, bundled up against the cold, trudged home from school. A few people walked their dogs. One man hacked at a bank of ice and snow with a shovel in an attempt to free a four-door white sedan. A section of Walford Way, along with entrances to the building where Pena lived, was cordoned off with yellow police tape. Near the edge of the crime scene, television crews gathered. At least two police cruisers could be seen parked nearby. Gaeton Delice, a 37-year-old nurse’s assistant and single father to two boys under the age of 10, has lived in the Charlestown neighborhood for three years. He said the neighborhood has a lot of children and that kids can often be seen playing in the courtyard of his building on Corey Street, less than a block from the crime scene. Clelian Polanco, a 34-year-old mother of four who lives on Medford Street in the development, said she doesn’t let her children play outside unaccompanied in the summertime. The family avoids going outside after 8 p.m. Even given the neighborhood’s problems, Polanco expressed shock at the news of the abduction. Junior Douyon was babysitting two of his nephews and a niece in the neighborhood on Tuesday. He said his sister was aware of who the suspect is. Magaly Galvis, 47, said that last week, the man was staring at her 14-year-old daughter Tiffany and making noises from his residence. “I just ran home because I didn’t know what he was going to do,” Tiffany said. Last year, Magaly said that she and Tiffany were walking with friends in the neighborhood when the man started to follow them on his bike. The group tried to walk in the other direction from him several times, Magaly said, but the man kept turning around to follow them while mumbling. Palvis Alvarez, 28, who lives just up the street from the man, said that one night he started to catcall her and get close to her when she got off work late and parked in front of his house. Previous Globe coverage was used in this report. Danny McDonald can be reached at daniel.mcdonald@globe.com. Follow him on Twitter @Danny__McDonald.